Not all cruising customers are alike. 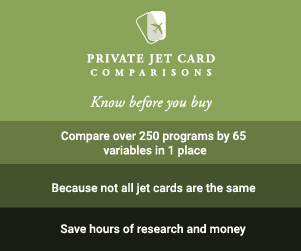 While everyone can agree on space and comfort being paramount, some want a bit of speed, too. Benetti and a trio of design partners came up with a solution: Benetti Now Fast. They’re models boasting the volumes and seakeeping customary of full-displacement yachts, with speeds exceeding 20 knots. Three projects—the BF224 (above), BF184 (below), and BF164 (bottom), denoting their LOAs in feet—comprise the Benetti Now Fast lineup. 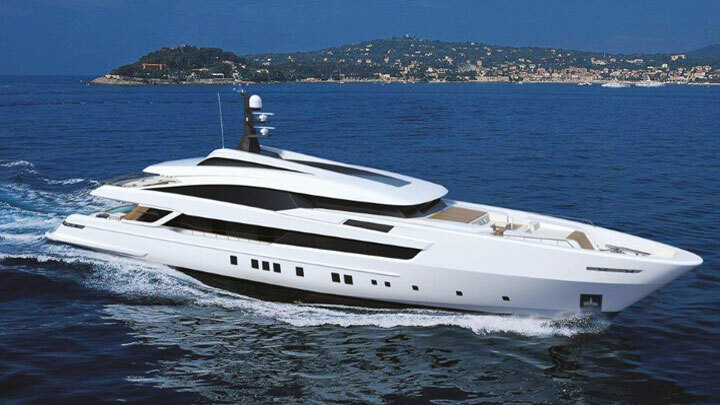 “Now” signifies them joining the Benetti Now custom series, introduced last fall. The series, you may recall, allows buyers to personalize interiors and alfresco areas aboard models with pre-set technical platforms. Benetti says the concept cuts delivery time in half compared to traditionally custom, same-size yachts. The Benetti Now Fast models augment the lineup, offering different styling and naval architecture. Styling is by Omega Architects, the first time the Dutch studio is collaborating with Benetti. In an interesting move, styling is also modifiable. The BF164, BF184, and BF224 each can have an enclosed sundeck or a raised pilothouse. 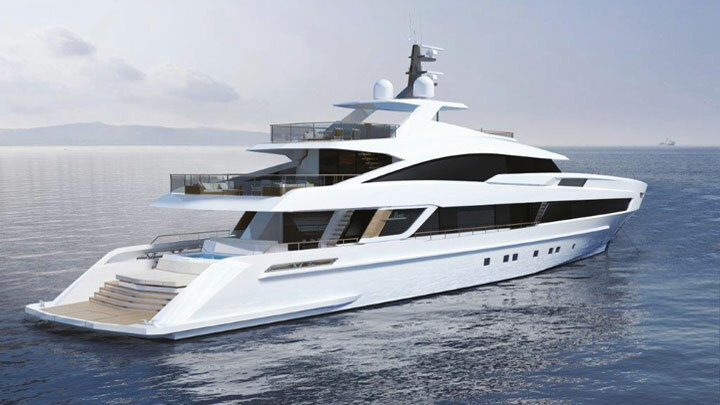 During a press conference at Yachts Miami Beach last week, Frank Laupman, the head of Omega Architects, demonstrated how different the profiles looked with scale-model superstructure sections. For naval architecture, Benetti turned to a familiar partner, Mulder Design. The two currently have Spectre in build. In fact, Frank Mulder, founder of Mulder Design, says the BF224 is similar to Spectre, which is only two feet longer. Also like her, the BF224, the BF164, and the BF184 all have fuel capacities comparable to full-displacement yachts of their LOAs. Furthermore, the Benetti Now Fast yachts have hull designs made for 30 percent higher speeds while preserving fuel efficiency. The emphasis is on allowing customers quicker journeys without compromising range. 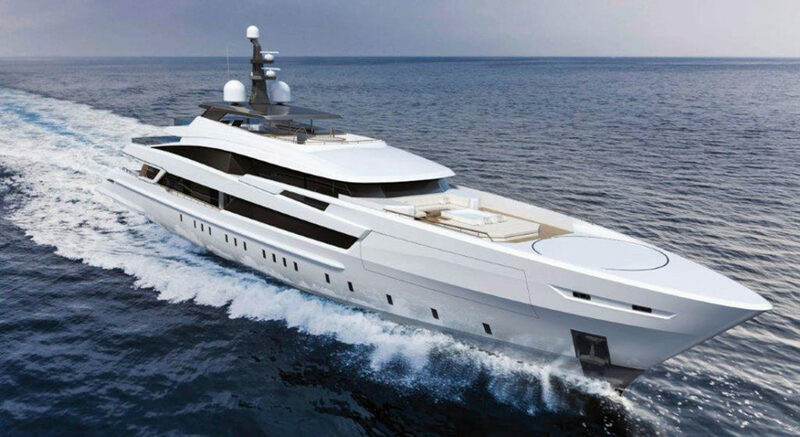 Benetti hasn’t disclosed specific figures for the projects. However, if Spectre is any indication, the BF224 should top out at 21knots. Fourteen to 17 knots are customary for displacement designs of her size. Spectre also should see a 7,000-nautical-mile range. Regardless, buyers of the Benetti Now Fast models can collaborate with Team for Design – Enrico Gobbi on the interior. All accommodations are open to owner input, though the studio does have suggestions. It has renderings offsetting light oak with dark-walnut accents for the BF164. Aboard the BF184, ebony accentuates light oak. Finally, for the BF224, white oak is the suggested backdrop.